"Lovely product, simple to assemble "
The 5' x 5' Honeypot Poppy Playhouse is a favourite amongst our customers and their children. 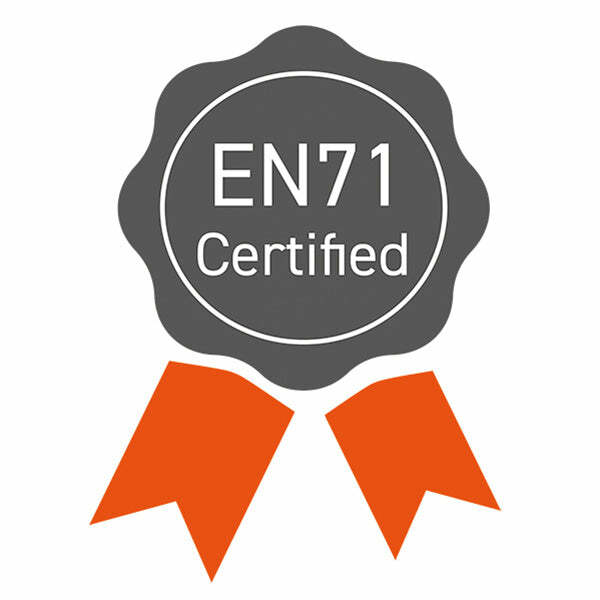 The Poppy Playhouse is TUV Safety Tested and Approved to BS EN71 certified offering you peace of mind while your children play safely for hours. The substantial and solid OSB sheet flooring provides strength as well as long term performance. 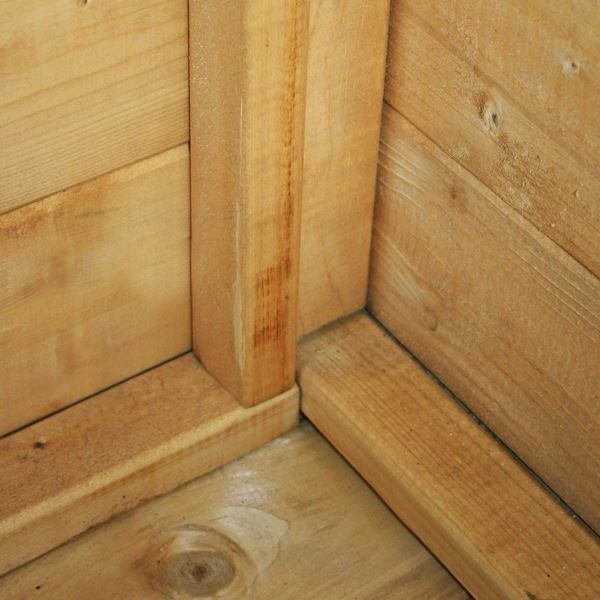 The exterior of the Poppy Playhouse is made from 12mm Shiplap Tongue and Groove cladding which is attractive as well as hard-wearing and resilient. The doors and the pre-fitted windows of the Poppy Playhouse are fixed and safety glazed with shatterproof Styrene ensuring there is no risk of injury. 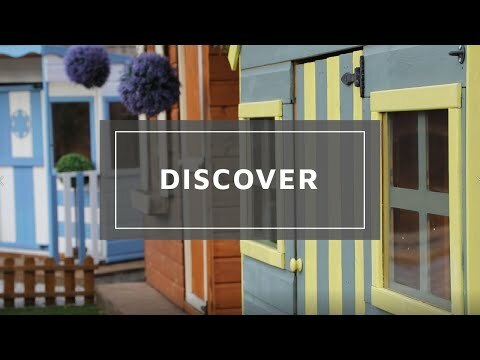 The Poppy is an eye-catching and stylish Georgian style playhouse that displays a charming 0.25m veranda with a roof overhang, which will keep your children that little bit cooler during the summer months. The roof of the Poppy Playhouse is covered in mineral roofing felt which increases durability in the wetter months of the year. 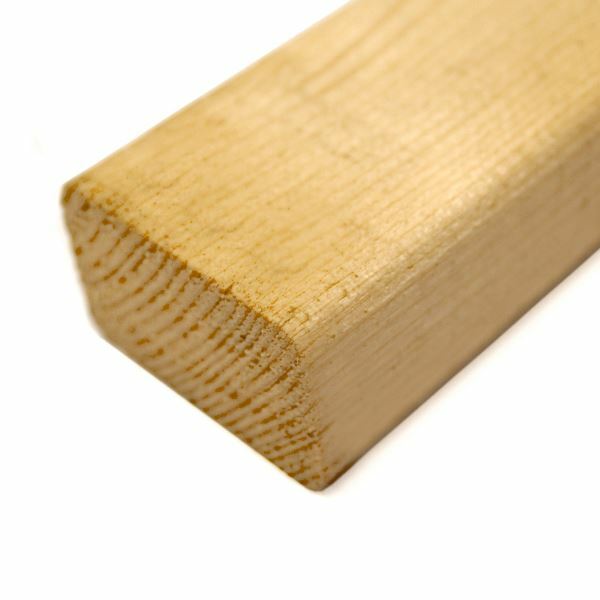 The door has a 12mm gap around the door framing to protect your child's fingers from getting trapped or hurt. To achieve a similar look to our playhouse, please see the Cuprinol Shades Range. Please note the playhouse is suitable for ages 36 months+. Our Reply:Good morning,It is wonderful knowing that you are pleased with the high quality playhouse and that your children love their new toy! Thank you for taking the time to offer your positive feedback. 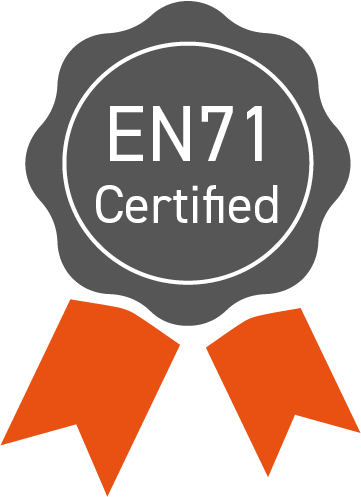 Review:Fantastic product, very pleased with quality. Our Reply:I am pleased that you are happy with your purchase. Review:All went together well. All pieces correct. Review:Had to saw bits off so it would fit together. The floor was 3/4" to big at one end, the sides would not fit together. Finally, the roofing felt, I have seen stronger tissue paper. Review:The playhouse is well made and goes together relatively easily. I would recommend painting the playhouse prior to putting it together. It took three coats of Cuprinol on each wall and I was surprised that the door took five. But it was well worth the effort. It looks fantastic! Review:Bought for my grandson's 2nd birthday present. He loves it and currently using it as a shop! 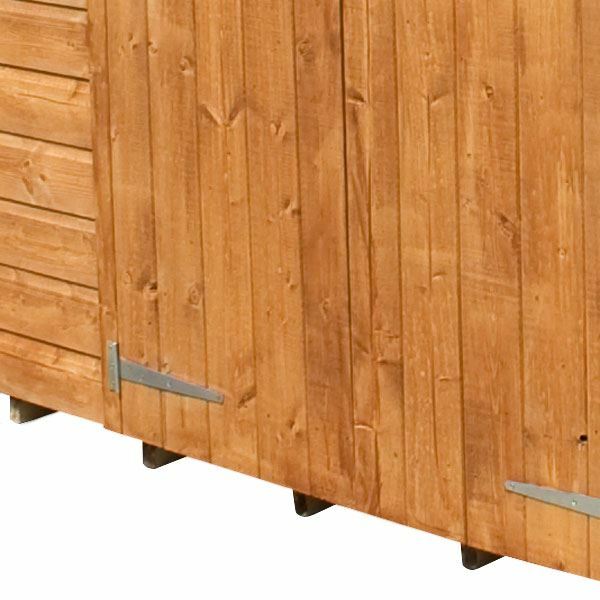 Review:Quality of wooden sides doors and window is great, but floor and roof panels are quite thin and appear a little too flimsy and flexible. Review:Excellent service and product. 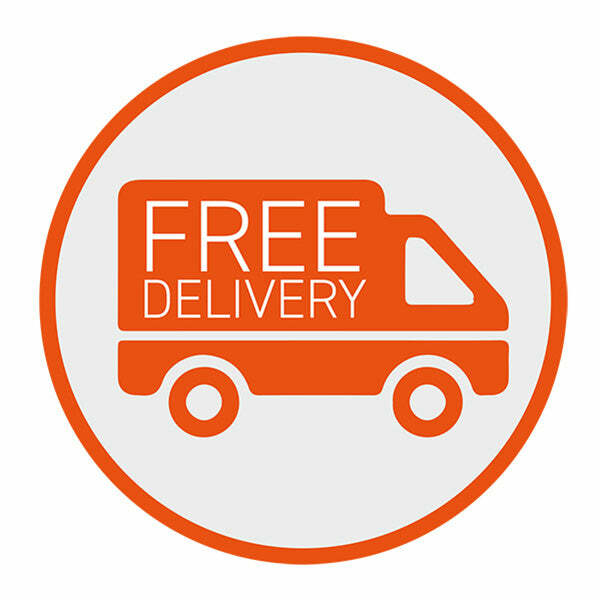 From the first time we ordered the item the transaction was smooth and the price was very low. The product was very good and delivered fast on the day that we had arranged. Thank you for your great review! I'm pleased to know that your product was delivered promptly. It's great to know that you're so happy with your product. Thank you for letting us know you're so pleased with your Honeypot Playhouse. I am very glad to know that you are pleased with your playhouse and the value for money. Thank you again for your positive feedback. Great to know you're pleased with the quality of your Honeypot Poppy Playhouse. We hope the installation of your product went smoothly. I am delighted that you're happy with your new product and thanks once again for the great feedback. 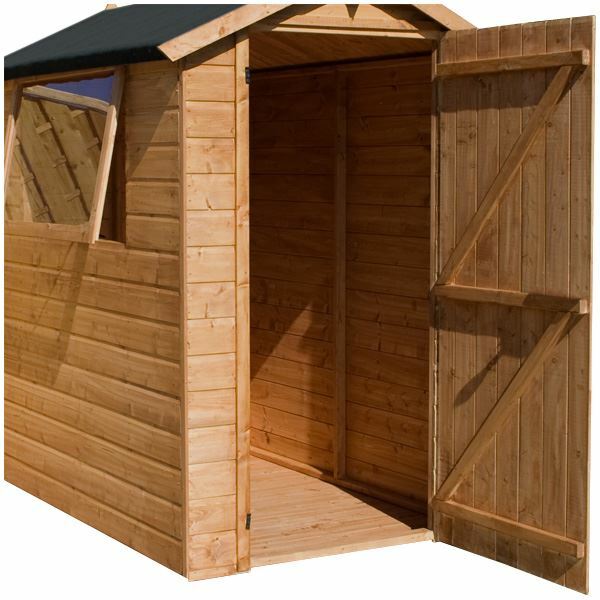 It is wonderful to know that you are pleased with the quality of your playhouse and I thank you again for your fantastic review! It is fantastic to know that you are happy with the quality of your playhouse and I thank you again for your positive feedback. It is great to know that you are happy with the quality of your playhouse and that assembly was straight forward. Thank you again for your positive review. Review:it looks great and was quite easy to assemble, you tube video very helpful. I am glad that assembly was straight forward and that you are happy with the quality and appearance of your playhouse. Thank you again fr your positive review! Review:Not enough galvanised nails provided for the roofing felt and no nails provided for the plastic boots. However the house was erected reasonably easily, but took longer than anticipated. Grand-daughter is really happy! I am thrilled to know that you find your playhouse to be of great value for money and I thank you again for your positive review. Review:See comments given under item 1.
Review:Great quality..my 2 year old and his older cousin love it. Great size too! Thank you very much for your lovely feedback and the image provided, I hope you enjoy using your new playhouse for many years to come! 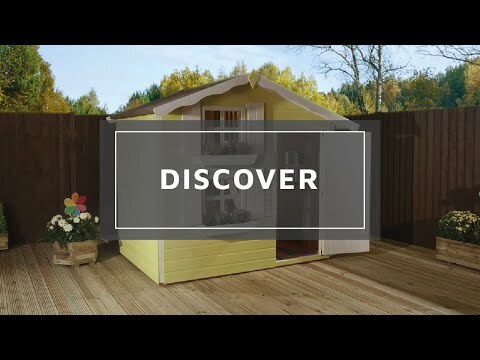 Review:Great quality house, perfect size for the garden. My kids love it. It is great to know you are happy with the quality and appearance of your playhouse and I thank you again for your feedback. Review:Great playhouse! Assembly was no problem at all, i loved decorating it afterwards! I don't really like the little cross frames for the three windows, I was hoping they would sit flush in the window frames from the inside, but that's just a matter of taste and I just left them out. Review:It looks great and the kids love it. It is great that you are very happy with the quality of your playhouse and thank you again for your positive feedback! I am pleased to know you are happy with the playhouse and I am sure your daughters will have many happy years of use out of it. Thank you again for your positive review. Review:Great quality playhouse. All the parts fit together neatly. It's been two weeks and it hasn't fallen down yet! Easy-to-follow instructions; construction videos also available on YouTube. 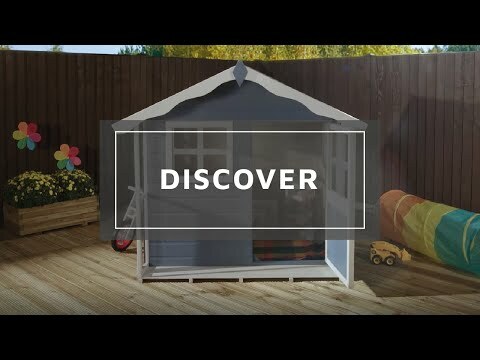 It is wonderful to know that you are happy with the great quality of your playhouse and that instructions were easy to follow, meaning a straight forward assembly. Thank you very much for such a great review! Review:My Grandson absolutely loves his playhouse. I am so pleased that you have a very happy grandson as a result of purchasing this playhouse. I am pleased to know you are happy with this and thank you again for your great review! Review:Poor quality wood, came in lots and lots of pieces, not even one solid piece for the base. The paint has run down the inside of the windows so they look dirty and cannot be easily cleaned. Seems flimsy and isn't made to last. Have seen many more sturdy ones so this is disappointing. Our Reply:Thank you very much for the great review and I'm glad that you found our how to video helpful. Review:This is such a pretty little playhouse. Our Reply:I am so pleased to know that you are happy with the playhouse and that your niece loves it. I am sure she will have many happy years of use from it. Review:My little girl loves it she's asked if she can't move her bed in. Our Reply:I am delighted that the playhouse purchase has resulted in one very happy little girl and I am sure she will have many happy years of use out of it. Our Reply:It is great to know that you are pleased with the playhouse and that assembly was straightforward and the playhouse looks great. Thank you again for your feedback. Our Reply:Thank you for your review, it is great to hear that you are so pleased with the playhouse. Our Reply:Thank you for your great review, we are happy to hear that the purchase of our playhouse has led to your granddaughter being very happy, I hope she enjoys her new playhouse for many years to come. Our Reply:It is so wonderful to know that you have a very happy two year old as a result of purchasing this playhouse. I am glad you are pleased with the quality and appearance and thank you again for your feedback. Review:Lovely playhouse, took about five hours to put it together and my grandson loved it. Our Reply:I am glad that your grandson loves his new playhouse and that assembly went well.